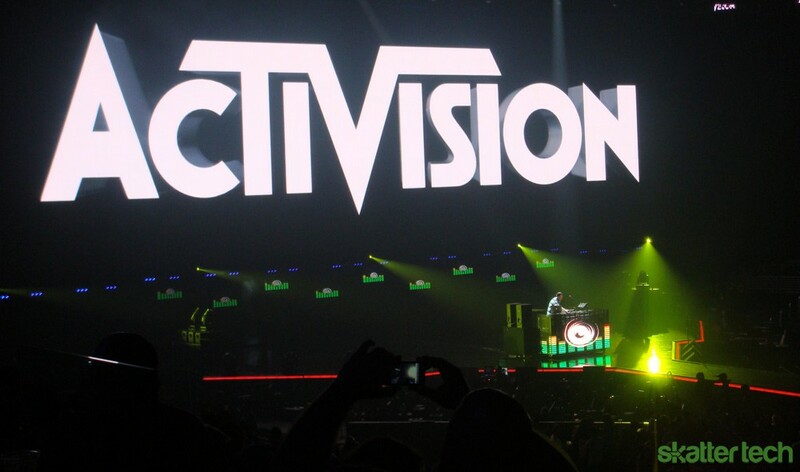 On Monday night Activision put on an enormous party for E3 press at the Staples Center in Los Angeles to promote their latest titles. The three-hour long concert reportedly cost $6 million and featured performances from big name artists like Eminem, Usher, N.E.R.D., Rihanna, Will.i.am., Jane’s Addiction, Rhea, DJ Deadmau5, DJ David Guetta, and Soundgarden. 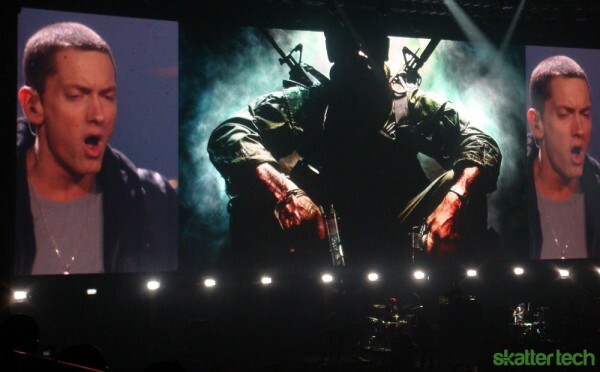 The performances supplemented video demos of games including DJ Hero 2, Guitar Hero: Warriors of Rock, Tony Hawk Shred, and, the front liner of the night, Call of Duty: Black Ops. Skatter Tech was lucky enough to get into the party and experience VIP treatment during the event, with reserved seating and all food and drinks paid for by Activision. The highlight of the night, however, was undoubtedly the Call of Duty: Black Ops demo. Attendees watched a few minutes of what we all thought was a standard video demo of gameplay, but then suddenly the explosions and fire sounded like it was taking place in the same room we were. Because it was. Literally. Activision set off fireworks and various explosives as well as fire streams and flame throwers in sync with the explosions in the video. It was definitely the most memorable and exciting (and deafening) experience I at least had at E3 2010, which is without a doubt what Activision had in mind. If their goal was to get the press talking about them in a positive light again, then mission accomplished. Check out the Call of Duty Eminem remix trailer (unfortunately without the supplementary explosions and flames) below. I can’t believe I wasn’t aware of this concert before! Seems like it was a total blast! It was pretty fun, Activision definitely went all out this year and held nothing back.